Millions Sweets are a UK based Confectionery owned by Golden Casket and they have a diverse range of different flavours to choose from within their range. 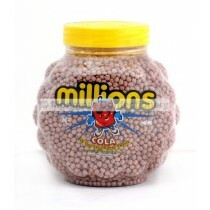 Popular types of Millions include Cola and Blackcurrant with more flavours getting produced all the time. Monmore Confectionery offer many different flavours of these wholesale sweets which are listed at affordable prices and purchasable for your business or for yourself if you have a sweet tooth. 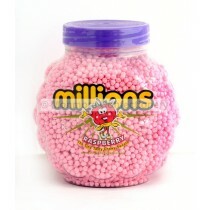 Millions Sweets have an ever expanding range of flavours to choose from which includes Bubble-gum, Apple, Lemon, Orange, Blackcurrant and Raspberry flavour. Monmore Confectionery have all of these vegetarian sweets and with the added convenience of having jars of sweets or just tubes of sweets. Golden Casket have been supplying Millions to wholesalers for over 50 years and their tasty mini sweets enjoyed by adults and kids alike. 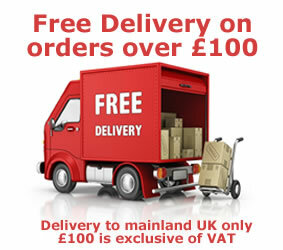 If you choose Monmore Confectionery you can be sure that you will get the stock you are looking for.